It's the weekend once more. That means it's time for my book blogger hopping. Do you like to finish one book before starting the next or do you read several at once? I only have one 'night read' at a time, but occasionally I may also have an 'afternoon read' on the go. I generally do this if a) I have a picture-heavy eBook that is easier to view on the PC; b) if I have a non-fiction work in print that I can skim through, reading a chapter here and there; c) if I have a hefty print book too cumbersome to read in bed; or d) if I'm under pressure to finish review copies and need to read one at night and one during the day to keep up. EDIT: I also forgot to mention that I often have foreign-language books on the go at the same time, too, for practice. Right now I am slowly working through Tolkien's The Return of the King in Danish, and I have a Czech contemporary literary novel to start soon. I tend not to think of them in the same vein as standard reading, because it's often more about language practice than the story, if you see what I mean. On the evening of Tuesday, 29th May 1951 I was returning to London after taking a week's leave in France from my post as assistant in the American Department of the Foreign Office. Within a week of Maclean's arrival in London in September 1948, Folke Bernadotte was assassinated in Jerusalem by the Stern terrorists; it was clear that Maclean's assignment as Counsellor in Cairo would be no sinecure. In this perceptive biography of Donald Maclean, Robert Cecil draws on his close acquaintance with the man, first at Cambridge and then as his colleague in the Diplomatic Service, to give an insider’s view of Maclean and his circle of ideological spies: Burgess, Philby and Blunt. He details Maclean’s recruitment as an agent by the Comintern in 1934, his early years in Paris, marriage, breakdown in Cairo and ultimate flight, with Burgess, to the Soviet Union. The heart of the book is Maclean’s years in Washington from 1944-48, a time when crucial decisions about the post-war world were being made. Maclean was assigned top secret work connected with the development of the atomic bomb – the ‘Manhattan Project’. He was undoubtedly Stalin’s best source in Washington, and Russian knowledge of US nuclear capabilities fuelled the atomic-weaponry race. His treachery did immense damage to Anglo-American relations. The other casualty, which Cecil is well-placed to describe, was to the gentlemanly culture of the Foreign Office and the sense of trust within the Service. Yep. It's a job where you can get paid without having to exert much effort essentially. Often diplomatic/top civil service posts are described this way. 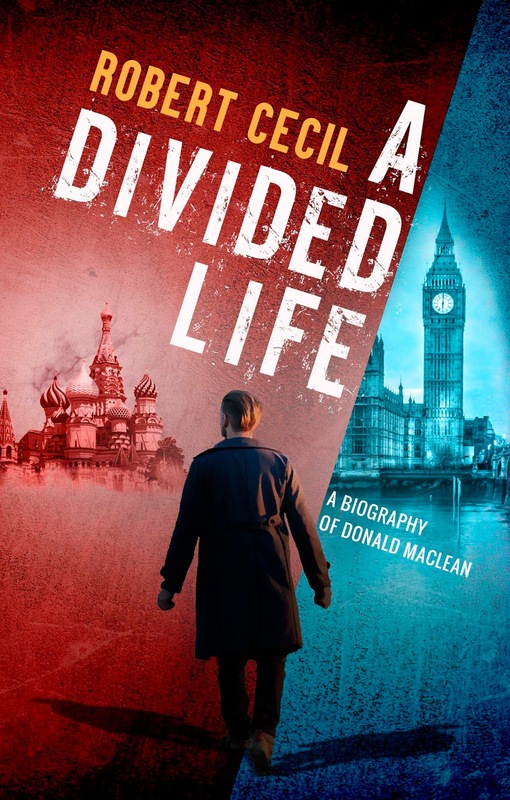 A Divided Life looks interesting. Enjoy your current read! Sounds like an intense read. Thanks for sharing, and enjoy your weekend. Intriguing 56!! Sounds like a fast-paced thriller! Happy weekend! Thanks Freda. It's certainly interesting. I agree with the comments - intense, and interesting. I too always have at least two books on the go. Enjoy your weekend. Here's my post Broken Ground. Thanks for the visit, Bev. Sounds intense. While I like fiction about spies, I don't read nonfiction. This week I am featuring The Calculating Stars by Mary Robinette Kowal. Happy reading! Hi Donna. Ah yes, different formats can be an obvious way for multi-book reading. Ahhh yes, the pressure of review copies!! :) I usually have just one book going, but great point about having a book thats too much to carry around or sit and read comfortably! I would definitely grab a second book in those situations. Probably not something I'd pick up, but I hope it's an enthralling read for you. Happy weekend! Thanks Alicia. It's interesting, certainly. Thanks Ashley. Same to you. 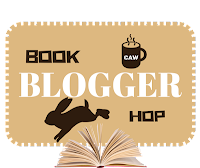 Great blog hop answer. That is terrific how you manage your books and reading...love it. A Divided Life sounds fascinating. I am not too familiar with Donald MacLean, although this does interest me. I tend to have more than one book at a time going as well. Have a great week, Nicki!